Restaurants come and go. Many open up to great fanfare only to close their door two years later. I can think of a few places that I really liked, that operated for a number of years but then disappeared - Hobo's (later Bellamy's) located where Fabricland is now on Bayfield Street, Friends, Neighbours, and Ruby Bigonia's (all three owned by the same group), the Merriman (Hooters present location) and Reggie's Sandwich Factory on Dunlop Street East. Then there are the plodders, the slow horses in the race, just moving steadily along, serving quality food every day to regular customers in simple surroundings. Nothing flashy, just authentic food and excellent service. When you are still in the game four decades later, I think you can be declared a winner. 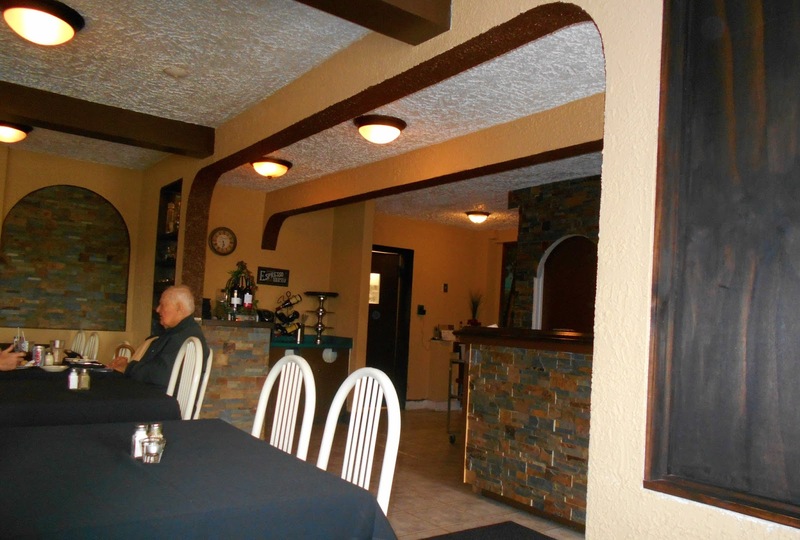 Nino's Italian restaurant is definitely a winner. If you Google Nino's, you get this fitting description, "Unpretentious Italian joint with familiar fare like chicken parmigiana and spaghetti since 1973." I wish I had written that. 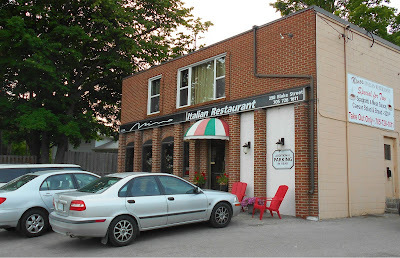 It occurred to me, while we were waiting for our meals, that people who lived in Barrie when it was a small city of about 27,000 would only have had two or three places to order a pizza from in those days. Today, there must be a hundred places where you can buy so-called Italian take-out food in the area. Yet Nino's keep plodding along, unperturbed by 2-4-1 deals, stuffed crusts, pretzel dough, crazy bread or trendy toppings. So, a few months back, I treated my husband, Ron, to dinner at Nino's. He is big on Italian food and we had never been to Nino's before. I know, I know! The brick building sits nearly alone, as it always has, at 298 Blake Street, although a Tim Horton's has recently moved next door. It must have been a bit of a gamble at the time to start a restaurant so far away from the main areas of business in Barrie. era. Inside, the arched brickwork continues. The dining room is very neat and orderly. It has clearly been updated not too long ago but it still has that retro feel. Nino himself has handed over his apron to his son, Luigi, now. It is fantastic to know that the restaurant he and his wife, Rosa, started all those years ago is still family run. 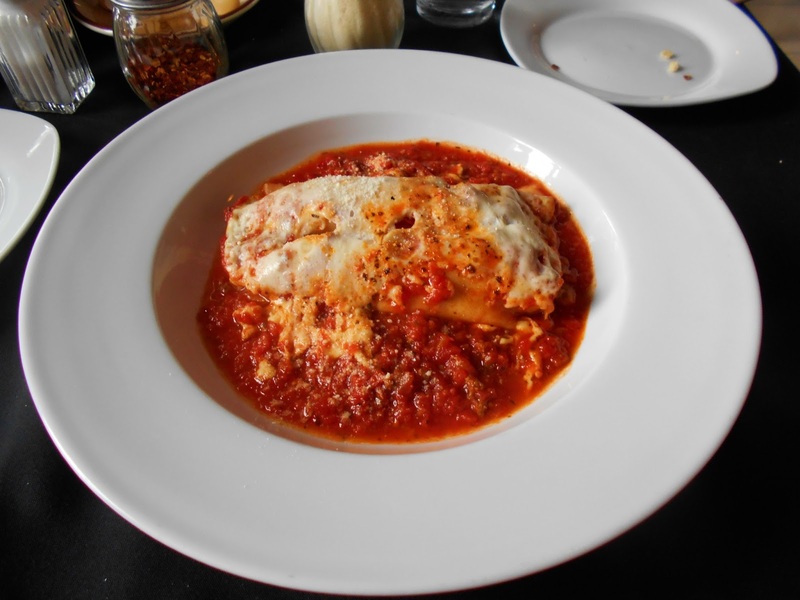 Nino, who learned his craft in Italy, built his business on fine house made pasta, stone baked pizza and an assortment of sumptuous dishes like lasagna and manicotti. The tradition continues today. So what did I have? On the way in, I spied the special of the day written on a chalk board - mushroom ravioli. I ordered that along with a caesar salad and some nice cheesy garlic bread to start. Ron chose lasagna. A nice glass of white house wine and a complimentary basket of fresh Italian bread completed the meal perfectly. Or did it? 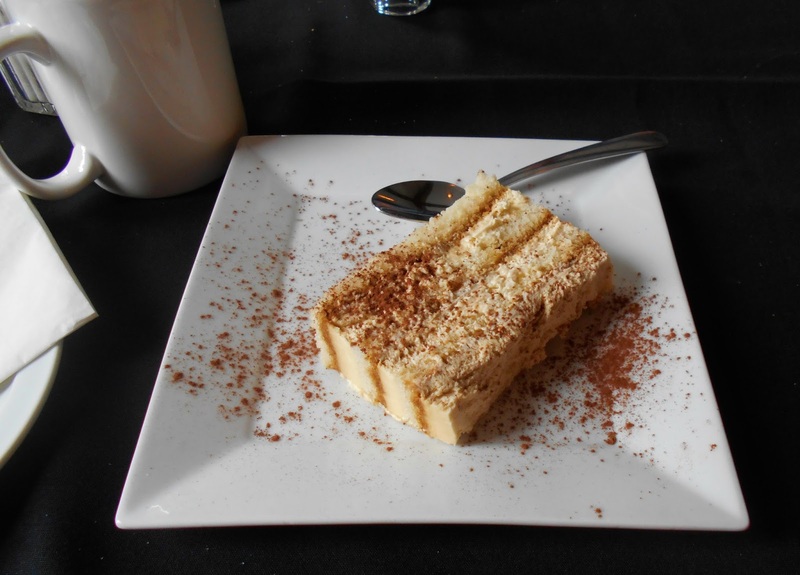 Couldn't help ourselves - got some dreamy tiramisu for dessert as well! I should mention that our server was just wonderful too. I didn't get her name but she reminded me of my Italian friend, Salvina, just so warm and earthy. I watched her take care of her regulars just like extended family. Brava!